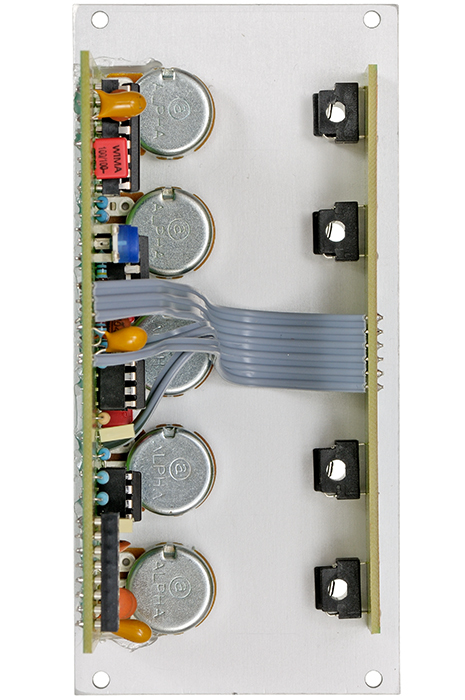 The filter is based on a bucket-brigade-device delay with very short times that clearly changes the phase of the signal. 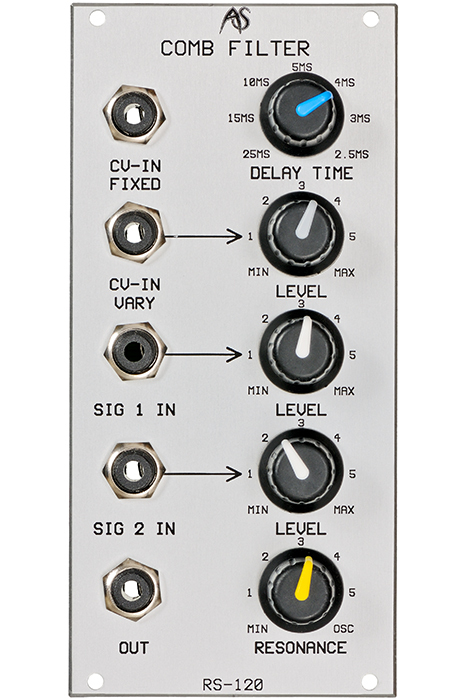 The feedback of this delay is used here as a resonance parameter that goes up to self-oscillation. 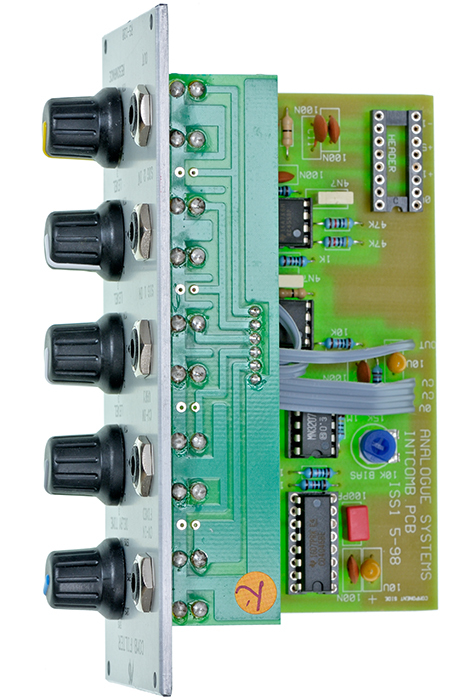 There are two audio inputs with level control. Unity gain is reached at the pot´s position 4, beyond this point the filter will be overdriven. 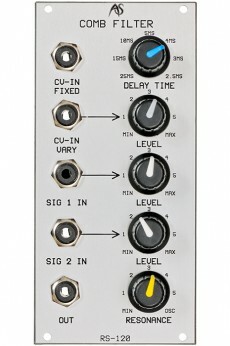 A control sets the delay time from 2.5ms to 25ms and in addition there are two CV inputs for controlling delay time, one with fixed 1V/oct and a variable one.